I just finished my application for spring 2015 Study Abroad semester at Regent’s University! London, here I come!!! In all honesty I am scared to death that I won’t get accepted. I would be heartbroken because I have put my life on hold to follow my dreams! I moved back home with my parents, told my boss that I’m leaving, and have informed my whole family of my plans. So please pray that I get accepted. It would be the most amazing opportunity of my life! 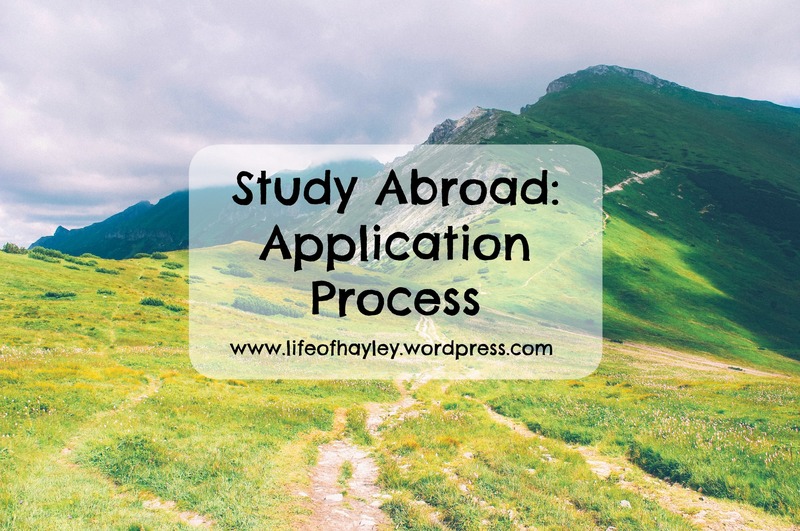 The application process itself wasn’t that difficult. I had a couple of appointments with the U.K advisor at my University where she basically guided me through the process. I filled out a bunch of paperwork, wrote a “Statement of Purpose” essay, and got two facility recommendations. Luckily, the whole application was online which made it pretty simple to get done. I struggled a bit with the essay because it was limited to 500 words about why I wanted to go. For me it’s not about wanting to go, it’s about needing to go. I know that I am meant to go to London and experience life in the U.K. I just had a hard time conveying my dreams in only 500 words. Studying Abroad means so much to me and I hope the Regent’s sees that from my essay. 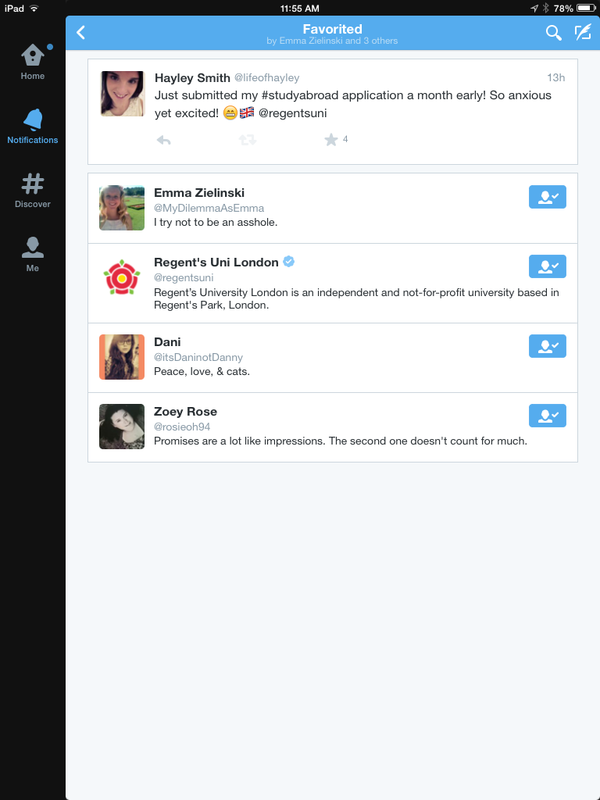 I tweeted that I finished my application and Regent’s University Favorited it! The facility recommendations were also hard to come by. I chose my favorite professors and both of them agreed! I provided my professors with my resume which I definitely recommend doing! Not only did my resume provide them with extra information about me to use but it also provided me with two sets of extra eyes critiquing my resume! Both professors gave me awesome feedback that I used to improve my resume! Now it’s just a waiting game. The application wasn’t due until October 15th but I was able to turn it in a month early. I am hoping to get early acceptance so I can start planning and budgeting further. My fingers and toes are crossed that I get accepted but if not I will find some other way to fulfill my dream. I am so overwhelmed with how supportive everyone has been! My boss, my family, my friends, Brett, and all of you guys have helped me so much along this journey. I can’t thank all of you enough for believing in me and guiding me through this!